BMW has introduced a new entry level X3 model – the sDrive18d. It’s the first rear-drive model in the range, (the rest are four-wheel drive) and also the most efficient, with combined cycle economy of 55.4mpg. Prices start at £28,580 for the manual, and an automatic gearbox is offered too. Power comes from a 2.0-litre diesel engine with 143PS and 360Nm of torque, and, thanks to the use of EfficientDynamics technology it emits 135g/km of CO2. That places it in VED band E, with a BIK rate for company car drivers of 21%. 0-62mph takes 9.9 seconds and top speed is 121mph. 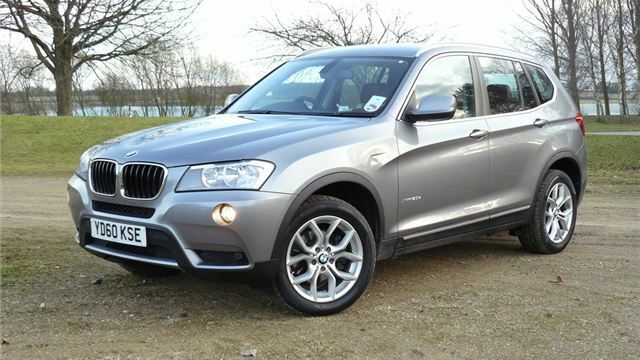 The introduction of the sDrive18d lowers the entry price for the X3 range by £2890, but excepting hill descent control it is just as well equipped as the xDrive20d all-wheel drive model. SE models get start/stop, alloy wheels, leather upholstery and iDrive with colour screen. M Sport models get larger wheels, aerodynamic styling kit, sports seats and sports suspension. Practicality is taken care of – the boot can be expanded from 550 to 1600 litres by folding the rear seats, and the optional tow-bar allows for a maximum towing capacity of 2000kg. The sDrive18d is available to order and is priced from £28,580.